By what name do readers know the person wearing this hat? Mrs. Bridegroom's Kindergarteners at Ox Bow Elementary School say that is the Man with the Yellow Hat! (And so you know we are in Elkhart, Indiana and we get to work with Sherry Gick and I was showing her this site which of course she knew about!) We're using this each week to start our Monday times. Kids are loving it! 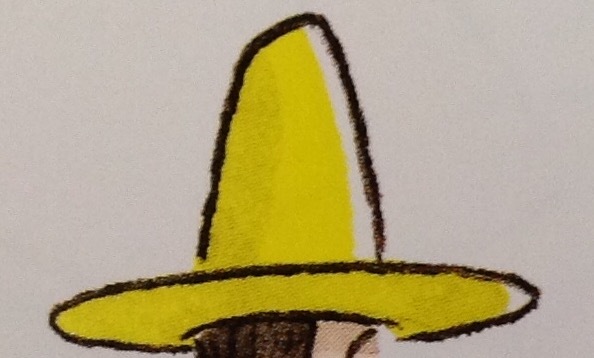 The man with the yellow hat!